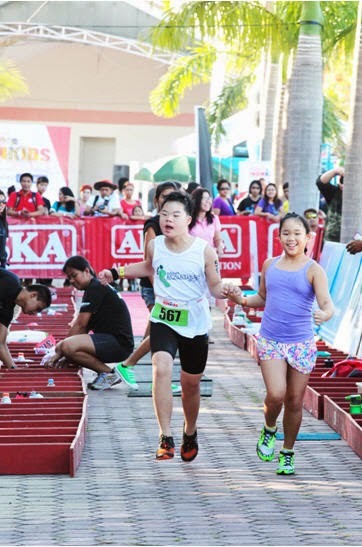 Austin Chang and sister, Athena Chang hold hands as they cheerfully raced with more than 132 kids at the Alaska IronKids Aquathlon event last May 25, at the Club Manila East, Taytay Rizal. The Alaska IronKids sports program has become a platform for the Chang siblings to bond by racing together and supporting each other whether they win or lose. It helps instill the values of Determination, Hard Work, Teamwork, Discipline, and Sportsmanship in children and this is what real champions are made of. Join the Alaska IronKids program now and become a real-life champion! Just log on to www.ironkidsphil.com or at www.alaskamilk.com for more details.